In 2017 you might expect to find Max Chilton tearing around iconic IndyCar racing tracks in the No. 8 Gallagher Honda with his team Chip Ganassi. Last week, however, this was not the case. He had a slightly different invitation to head down to Brandshatch, a track he knows well in his home country, the United Kingdom. The invitation came from popular YouTuber Seen Through Glass, who runs an automotive lifestyle channel covering the UK supercar scene as well as international motorsport events and series. Sam, (Seen Through Glass) was inspired by an old Top Gear episode from 10 years ago where Jeremy Clarkson was challenged to beat a lap time he set playing a racing game driving the real life car around the real life track. A decade is a long time; computer games and cars have evolved, so how do you breathe new life into this idea? There is clearly only one answer, recruit Max Chilton and get him to show Sam the ropes in a bright yellow Abarth 695 biposto 2016. Join the guys as they take on the challenge and put the sporty little monster to the test. 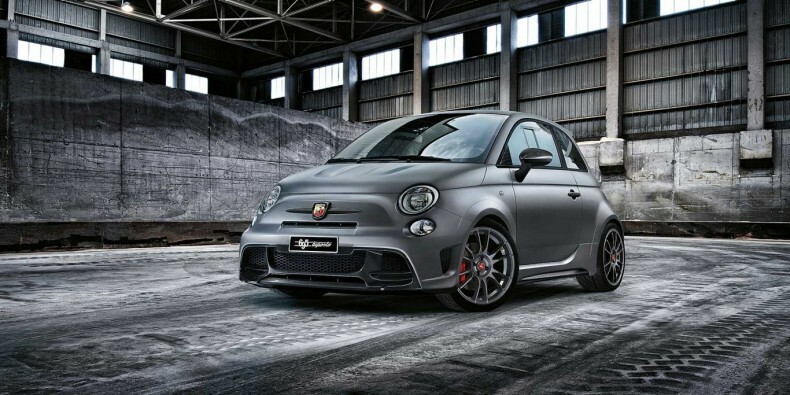 And yes, you might well hear Sam calling Max “Yoda” as he unapologetically overtakes a Porsche in the Abarth – this could well be a first for the car. Please enjoy and don’t forget to like, comment and share.